Apple Camp for kids 2018 is now official as the iPhone maker has started the registration for the annual free program. The camp for kids aged 8-12 would start next month. Apple Camp for kids will offer kids the option of three tracks made up of three sessions of 90 minutes each. This year also kids have the option to choose between Coding with Sphero Robots, Telling Stories with Clips, and Beat Making and Songwriting with GarageBand. The only difference this year is that the Cupertino, California-based company would be using its Clips app instead of the iMovie for the storytelling track. In Coding with Sphero robots, the experts would teach different concepts to make Spheros change colors, produce sounds, among other activities. The final activity would involve kids coming up with their own games. Beat Making and Songwriting with GarageBand would involve kids coming face-to-face with the elements of song structure and also play and record the songs using an iPad. About Telling Stories with Clips, Apple states that the future filmmakers would get an opportunity to explore the creative process involved in telling stories with the help of music, photos and videos. “They’ll get hands-on in groups to capture short videos, edit and enhance their shots with fun graphics and filters, and add opening and closing titles in the Clips app on iPad. On the final day, they’ll present their video stories,” Apple said. 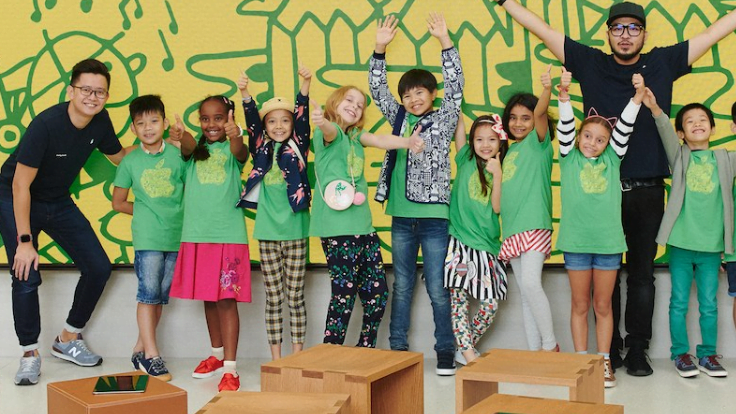 Registrations for Apple Camp for kids is now live in the U.S., France, Canada and several other countries. Apple has announced that the sessions would start from July 9 and conclude on July 27. Reservations for Germany and the UK would start June 25. Apple is taking registrations on a first-come, first-served basis, so parents must hurry up to enroll for Apple Camp for kids. The iPhone maker has been hosting such camps since 2003. With every passing year, the company has been upgrading its modes of learning by introducing Macs and iOS devices instead of iBooks and iMovie. The schedule of the program varies by region. For instance, some classes would take place on a Monday-Wednesday-Friday schedule and others on a Tuesday-Thursday-Friday schedule. Classes typically begin at around 9:30 a.m. ET and stop around 5:30 p.m. ET. Here is the link to Apple’s registration page for the camp. Apple has been striving hard to gain an upper hand in the education sector, and such camps can be seen as one of the many efforts by the company to stay visible in the space. Google and Microsoft are also making efforts to edge others in this important sector. According to a report from Frost and Sullivan, the education market generated $17.7 billion in revenue for the technology vendors. Google, Microsoft and Apple collectively accounted for 83% of that. Microsoft is also organizing a summer camp called YouthSpark Summer camp for kids. Microsoft’s camp, which is already underway, is meant for kids aged six and above. The participants learn the latest technology from Microsoft in the two-hour workshops ranging from basic coding with Minecraft and robotics to 3D Windows and Powerpoint. Microsoft allows a parent, legal guardian or the authorized adult caregiver to accompany every participant below seventeen. The accompanying person needs to sign a Participant agreement upon arrival and remain in the Microsoft store for the duration of the event. Talking of other efforts made by Apple in the space, the company offers students with the iPad and ecosystem of the app along with the Apple Pencil. During its education event, the company updated its iWork suite with Apple Pencil support, and other things to enable the assignment, new learning tools and annotations. Apple’s prime device in the education space is its 9.7-inch iPad costing $329. Further, the company is coming up with a $299 iPad, which will stand strong against Chromebooks and other low-priced Windows PCs. During the recent Worldwide Developer Conference (WWDC), Apple talked about its forty years of efforts in bringing computers to education. With modern offerings such as device management with Apple School manager and collaborative tools such as new classroom for Mac, the company is braving the adversities and intense competition in the space. Speaking to AppleInsider recently, Michael Devins – product manager at Jamf – stated that Apple School manager was small and slow when it was launched in 2016, but now, it is serving education in 34 countries and is sprinting towards 65 later this summer. “Another key to Apple’s continued success in the classroom was a brand new app for teachers, appropriately named Classroom,” Devins said.